I’ve been wondering this week what freedom looks like. I’m painting a piece for a prayer room around the theme of finding freedom, so the question has been bubbling away all week! One picture that comes to my mind is this hot air balloon, breaking free from the ropes that held it down and heading into a vast unexplored sky. Freedom is finally becoming all that you were always meant to be. The balloon is beautiful. It is a joy to watch it become slowly inflated with warm air, to see it grow out into its shape, to watch it as it eventually strains against the ropes that tether it to the ground. At each stage it is wonderful, holding all the potential to become truly itself, to fulfill its purpose, to be all it can be. And yet, it is not until it is released from the ties that hold it down that it is able to be truly itself, to do what it was designed for. I listened to a talk recently by one of my favourite authors and speakers, NT Wright. In it he mentioned about how when people have been sick for a long time we sometimes say that they are ‘a shadow of their former self’. But, he says, to a follower of Jesus you can say ‘you are only a shadow of your future self, because as you become more like Jesus in the way you think, feel and behave, the more free to be truly yourself you are. I love that idea so much. 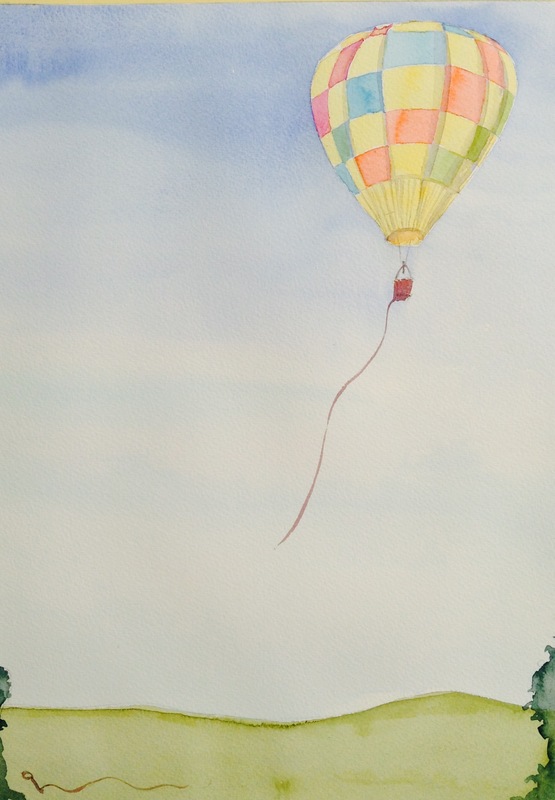 Just like this balloon, being slowly filled and then being released one rope at a time – through your choices you are transformed into his likeness, through his Spirit you are filled with power and as you are cut free from the things of the world that hinder you, you will change, becoming more like yourself than you have ever been before. So this postcard is an encouragement, firstly not to lose hope when the journey seems long, but secondly, not to become too accustomed to life on the ground. Strain towards what is ahead. Don’t fall for the lie that it’s better to stay safe and uninflated on the ground. Don’t fall for the lie that you are all that you will ever be. And don’t fall for the lie that some chains just can’t be broken. You are only a shadow of your future self. You are designed to fly. If you’re filled, but not yet flying, maybe you’re not quite free. Even one rope can have the power to keep you close to the ground. Take some time to ask God to show you if there are any ‘ropes’ in your life that he wants you to deal with.. Then ask him what it will take to deal with them. If you need to, go and find someone you trust who can pray with you.